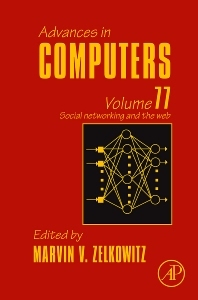 This is volume 77 of Advances in Computers. Since 1960, annual volumes are produced containing chapters by some of the leading experts in the field of computers today. For 50 years these volumes offer ideas and developments that are changing our society. This volume presents eight different topics covering many different aspects of computer science. A wide range of subjects are covered from insights into the different ways individuals can interact with electronic devices to how common law is adapting to and impacting on the Internet.